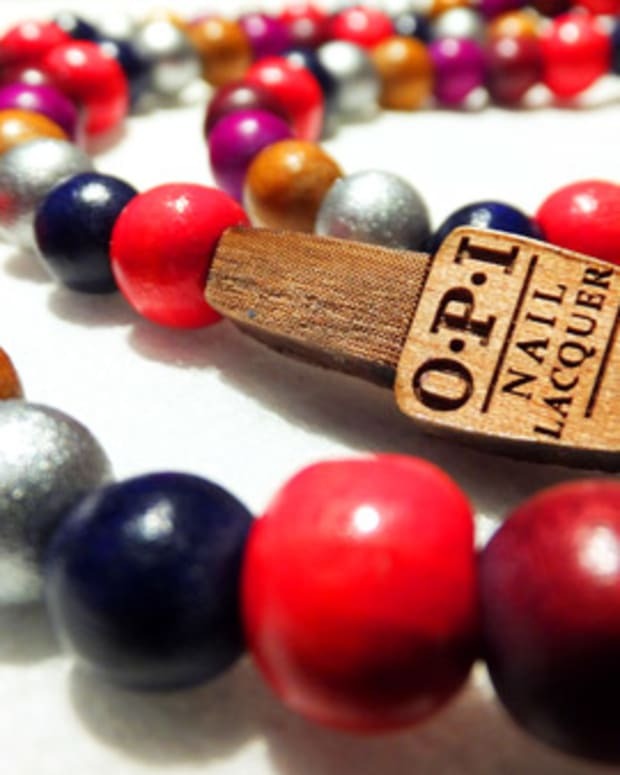 It&apos;s barely Spring in Toronto, but we&apos;ve got a sneak peek at the upcoming OPI Nordic collection for Fall/Winter 2014. 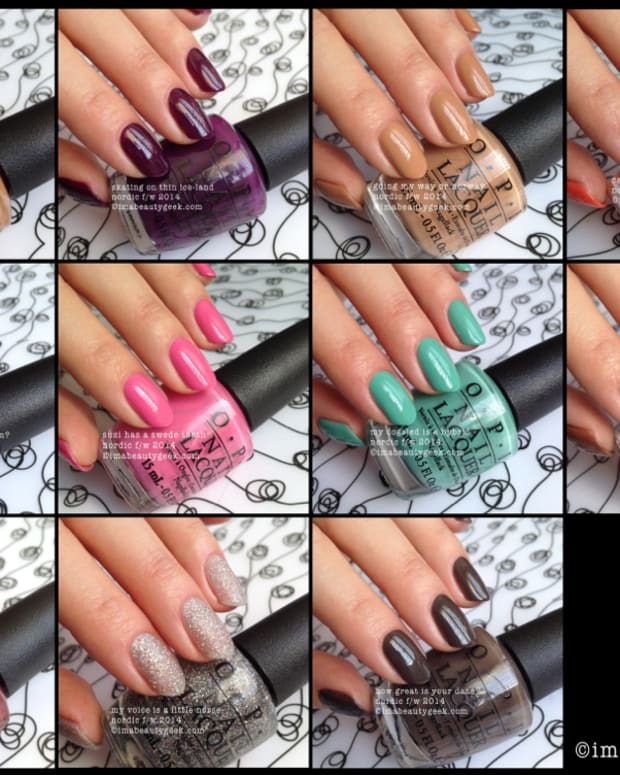 Thanks to our Mani-Geek Karen&apos;s sharp eyes, our sneak peek at the OPI Nordic collection comes via a Swedish blog called Nailtastic. These photos were borrowed from Anne&apos;s post. The above nail polish shades are almost summery, aren&apos;t they? But yup, they&apos;re OPI Fall 2014. These are a bit more ice-and-snow appropriate. Definitely Fall Winter 2014, yes? Love those vivid purples. There are three in the collection. Skating on Thin Ice-Land is a purple too. My Dogsled is a Hybrid is my favourite. Very clever. Also enjoying Suzi Has a Swede Tooth. And I know a lot of people who feel that Thank Glogg it&apos;s Friday. 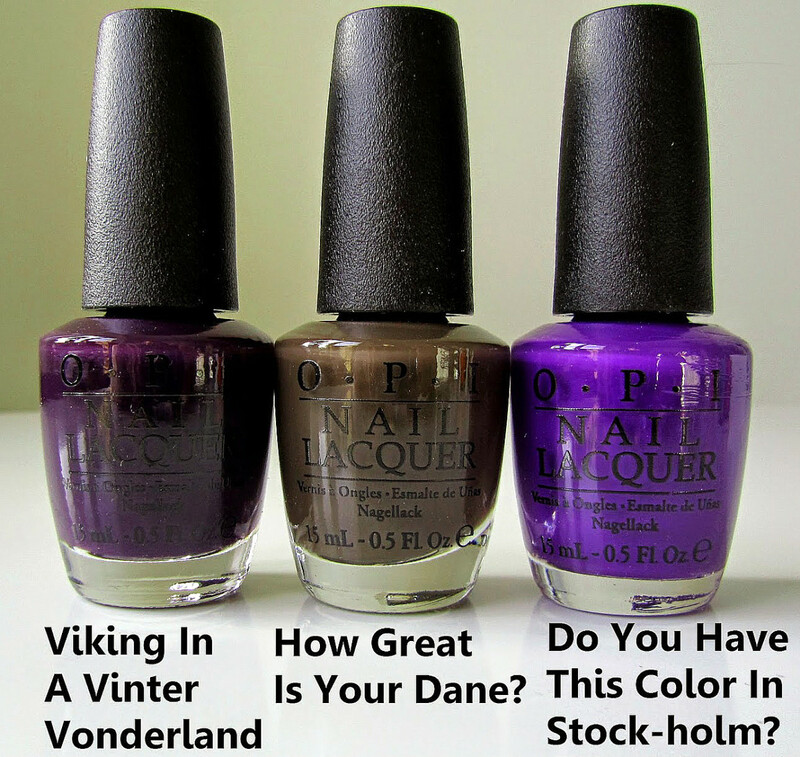 The 12-shade OPI Nordic collection for Fall 2014 hits shops in Sweden around week 33 -- that&apos;s the end of August, isn&apos;t it? Should hit Canadian shelves around the same time. And nope, no info via opi.com just yet -- the official site is still all about OPI Glitter. Pop over to Nailtastic.blogspot to see the full lineup. 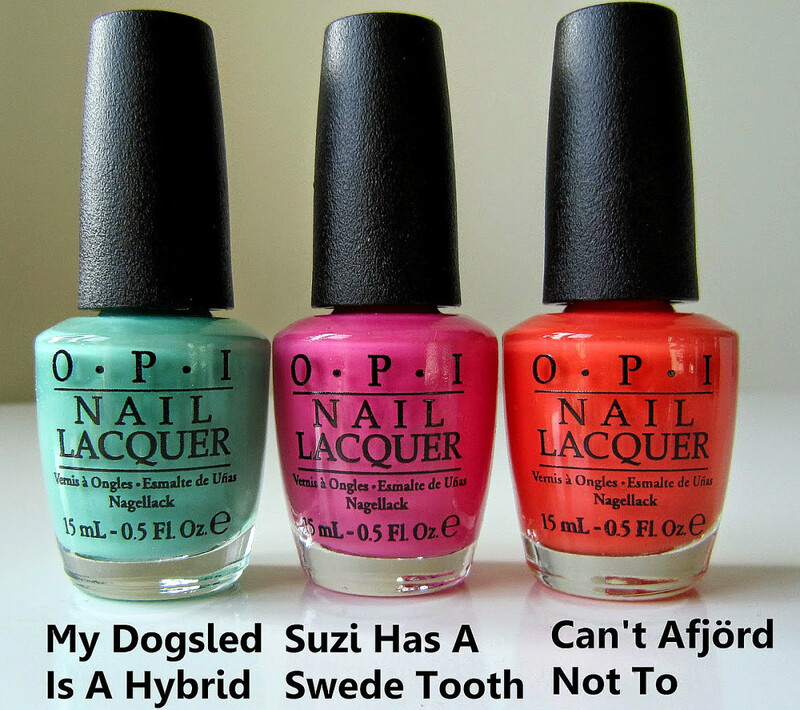 While you wait for more OPI Nordic news, you might want to play in the OPI Neon collection for summer.